Rev. 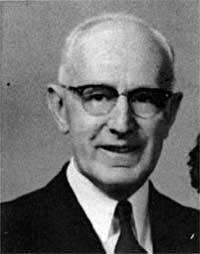 Jonathan Weber served the Ebenezer Congregational Church from 1949 to 1955. Rev. Weber previously served in Milwaukee, Wisconsin (1919-1920); Plevan parish, Montana (1920-1923); Hosmer parish, South Dakota (1923-1932); the Zion Church in Lincoln, Nebraska (1932-1936) and McCook, Nebraska beginning in 1936.